Doha: The Qatari government said it helped to secure the release of 45 Fijian peacekeepers kidnapped by Al Qaida-linked Syrian rebels on the Golan Heights last month. “The efforts of the State of Qatar led to the successful release of the Fijian soldiers... who had been held for two weeks,” the Gulf emirate said in a statement late on Thursday. The United Nations announced on the same day the release of the 45 peacekeepers, part of the UN Disengagement Observer Force (UNDOF) which monitors a 1974 ceasefire agreement between the Israeli regime and Syria on the Golan. UN Secretary General Ban Ki-moon welcomed their release, with a spokesman saying he appreciated “the efforts of all concerned to secure their safe release”. In its statement, the Qatari foreign ministry said its “mediation was conducted at the request of the government of Fiji”. The Fijian peacekeepers were handed over to their Filipino counterparts at the Quneitra crossing between the Syrian and the Israeli-occupied sides of the Golan, it said. The statement thanked “certain parties that contributed to the success” of the mediation, without elaborating. A UN spokesman said previously that the abductors had made no demands to secure their release, “and there were no concessions”. Qatar said it had acted on “humanitarian” grounds, and that did not hesitate to mobilise all its means and diplomatic channels to save lives”. 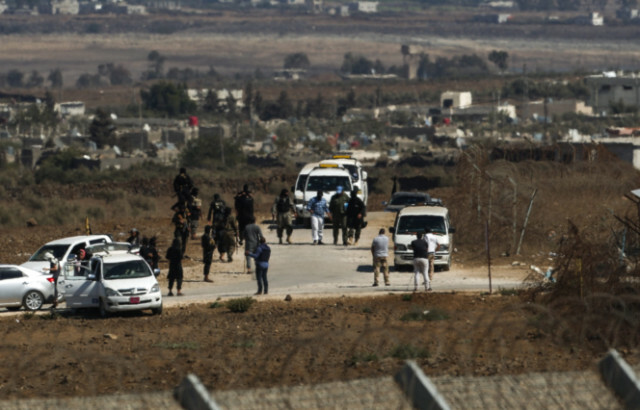 The gas-rich country also played a role in the release last month of American hostage Peter Theo Curtis, who was freed on the Golan Heights after being held by rebels for 22 months. Since the rise of Qatar in the regional and international political arena in the late 1990s, the US ally has been regularly accused of supporting or financing insurgent movements, directly or indirectly, particularly in Syria. The emirate has since been stepping up efforts to distance itself from radical Islam.